Keeps your projects - even small beads and tools - perfectly in place! 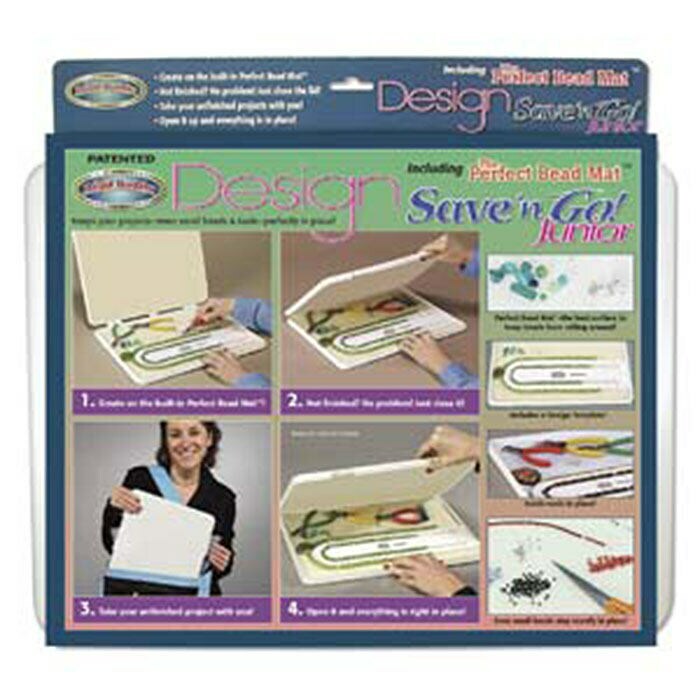 Includes a design template and The Perfect Bead Mat™ which allows you to keep your project just how you left it! 1) Create on the built-in Perfect Bead Mat™! 2) Not finished? No problem! Just close it! 3) Take your unfinished project with you! 4) Open it and everything is right in place! Size of board is 12 inches x 9 inches x 1 inch. If you are purchasing multiple items, please contact me about shipping.